Yes, Kurt Russell is good. Definitely much better than Seagal. I liked him a lot in Big Trouble. Captain Ron, however, went totally beneath my radar. I have now added it to my wish list. While he's usually good, his films tend to be hit or miss. Escape from New York was great, Escape from L.A. not so great, for example. I just watched him in Tango & Cash. Not great cinema, perhaps, but good fun, and Russell was good as usual. Overview Ray Breslin [Sylvester Stallone], the world's foremost authority on structural security, agrees to take on one last job: breaking out of an ultra-secret, high-tech facility called "The Tomb". 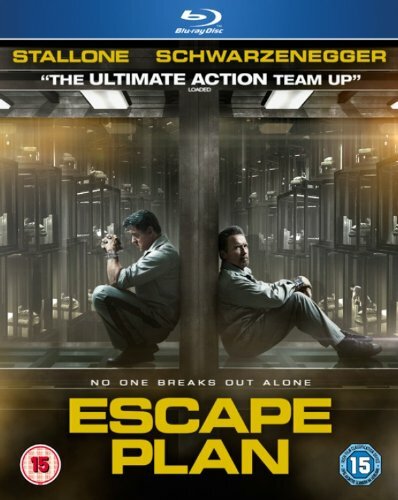 But when he is wrongly imprisoned, he must recruit fellow inmate Emil Rottmayer [Arnold Schwarzenegger] to help devise a daring, nearly impossible plan to escape from the most protected and fortified prison ever built. My thoughts It's fun to see a Swedish director getting ahead in Hollywood. The only other that comes to mind right now is Lasse Hallström. And while Lasse seems to have peaked, Michael is still rising. Good for him. This is another of those movies where it's best not to try to analyze it to much, or you're going to get a lot of “Why” and “How” whirring around in your head. Just go with the flow and then it's a fairly impressive action movie where you probably will get a couple of “I didn't see that coming” moments. You are right about Escape Plan .. though i don't think i would have said "... serviceable action ..."
i don't think i would have said "... serviceable action ..."
Well I wrote "serviceable action movie", meaning that "serviceable" refers to the movie, not to the action. One of the definitions of "serviceable" in Merriam-Webster is "of adequate quality", and I think that fits; an action movie of adequate quality. And as for guilty pleasure, I don't think you need to feel guilty about finding this movie a pleasure...? I saw Escape Plan in the theater. I enjoyed it. I ended up liking it more than I thought I would originally. I thought Arnold was pretty good..better than he's been in other movies. Overview Robert Roth (Sylvester Stallone) is the best hitman around, but the code and sense of duty once part of his deadly career are lost in a post-Cold War world of freelance guns. He wants out. Not so Miguel Bain (Antonio Banderas), a driven killer who knows how to claim the top spot of his shadowy profession: eliminate Roth. Julianne Moore turns up the heat as a wily hacker swept into the duo's running battle. Co-written by the Wachowski Brothers (The Matrix) and Brian Helgeland (L.A. Confidential) and directed by Richard Donner (the Lethal Weapon series), this awesome action tale plunges you into a world where what counts isn't making the first move, but surviving the last. My thoughts Sometimes you forget almost everything about a movie except a key scene. I had such a vivid memory of a key scene in Assassins that I was convinced that I has seen it. But no. When I just watched it on BD I realized that I had never seen it before, after all. I must just have seen the trailer. 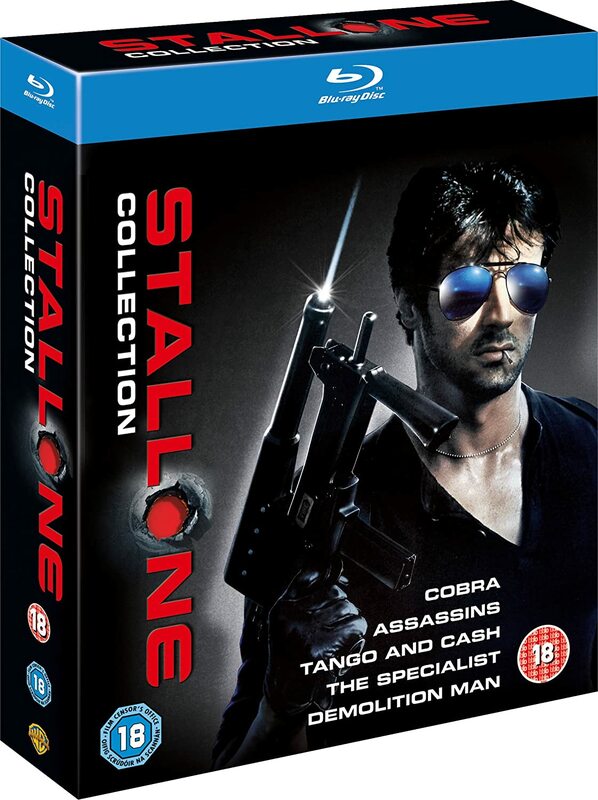 So I'm glad I got it in the Stallone box set. This may not be the best film that Richard Donner ever has directed, but it's a good enough action movie. Banderas is really good in it. Julianne Moore has done better roles, but I like her anyway. And Stallone is Stallone. Like most action movies, this one requires a little bit of suspension of disbelief, but not too much. There aren't any real roll-your-eyes moments. Well, at least not unless you stop to question how you get $16,000,000 in bills into a hand held bag. And I didn't, until afterwards. That's 160,000 $100 bills. Or if it's easier to visualize then in bundles of 100 bills each, that's 1,600 bundles. But that's part of the Hollywood myth, right? Ridiculous amounts of money take hardly any space at all. It's right up there with cars exploding like a bomb if they're driven over a cliff, or bodies flying backwards when shot by a shotgun (or even a pistol). So we let it go, even though we know it's hokum. So to sum it up, this is a better than average, but not really great, action film. A little bit too long for my taste, but at least it never gets boring. 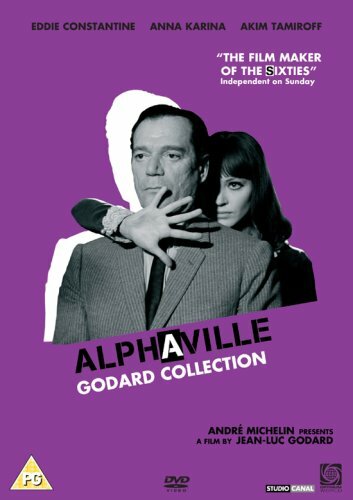 Overview Written and directed by Godard, Alphaville is the strangely beautiful futuristic tale of Lemmy caution, an American private eye sent to a planet ruled by Von Braun, a malevolent scientist who has outlawed human emotions in favour of logic. The film deals with the fight between individualism in the face of inhumanity and blind conformity, and won the Golden Bear award at the Berlin Film Festival in 1965. My thoughts I didn't appreciate Godard when I was young back in the sixties. I have been avoiding Alphaville for almost 50 years. I thought that perhaps I had matured enough to appreciate it. I was wrong. To me, watching Alphaville is like watching an surrealistic painting. I may understand the general meaning of the work, but I don't understand the details, and the whole just doesn't resonate with me. Maybe I'm just too stuck in logic. Maybe the details overshadow the whole. I don't know. Alphaville is, as far as I can understand, supposed to take place in the near future. From 1965, when it was made. And yet pretty much everything in it just screams 1960's; the technology, the cars, the designs, everything. Possibly there is a point to that which escapes me. It would be utterly foolish of me to say that Alphaville is a bad movie. Its reputation speaks for itself. I just have to say that it's not a movie that appealed to me at all. Overview A dark, twisted, yet enchanting version of the classic fairy tale. 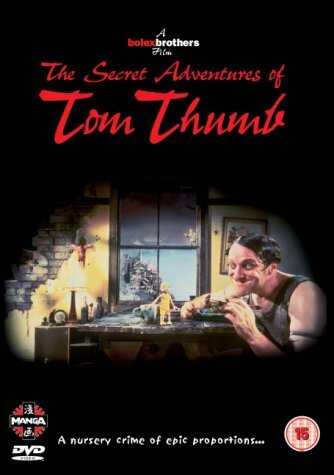 Set in a world of dark and shadowy tenements, shining high-tech labs and spectic landscapes of garbage and ruins, The Secret Adventures Of Tom Thumb makes a touching hero of the tiny child mysteriously born to a woman and a man in experiments in a lab full if mutant creatures. He narrowly escapes into a world where he finds companionship with people his own size and starts to fights back against the 'giants' alongside Jack the Giant Killer. Nothing is likely to prepare you for your entry into the astonishing, timeless world created by the award-winning bolexbrothers' director Dave Borthwick, where the strange humans are animated, latex figures breathe as if alive and objects and odd creatures crinkle and crunch in the corner. It's a world of genuine horror and moving movements that has the power to unsettle and enchant in equal measure – a potent reminder that fairy tales were never meant to be nursery soothers. My thoughts This was a real treat for an animation fan like me. Not quite sure how much a “normal” person would appreciate it. This is an hour long stop motion animation film. Quite grim, not your usual Tom Thumb story. Not suitable for young kids, that's for sure. What's especially extraordinary about the animation here is that they also use live actors, but animate them just like the puppets. This makes for some remarkable interaction between puppets and humans. This must have been an extremely trying task for the live actors. Not a job for the impatient! It's a weird, and sometimes confusing story, but I found it extremely entertaining. It certainly makes me curious about what else The Bolex Brothers have accomplished. Well luckily I am not a normal person YEAH!! Thank you Thank you Thank you. I got a copy from a friend after reading your review and I have just order a copy for myself. I LOVE IT. It is dark and twisted and certainly not the Tom Thumb by George Pal, of my earlier days ( Terry-Thomas and Peter Sellers are brilliant in it) .. but it is fantastic in much the same way that Nightmare Before Christmas was (which came out the same year). This was simply marvelous and thank you again. I can't wait to turn friends on to this. By the way ... is John Upton the one who plays the father of Tom? Where have I seen him before do you think? Good to know you liked it, David! It's always fun when you find some obscure movie and can share the experience. Overview Brace yourself for the Extended Edition of Taken 2, with even more explosive action and thrilling suspense — plus in-depth extras that take you deep behind the front lines of a one-man war. Liam Neeson returns as Bryan Mills, an ex-CIA operative who finds himself "taken" hostage along with his wife. To survive, Bryan must enlist the help of an unlikely ally and use his brutally efficient skills to take out his kidnappers. My thoughts After all the bad reviews I read, I wasn't sure I wanted to see Taken 2 at all. But since I really like Liam Neeson, and I found the BD cheap, I thought I'd give it a go anyway. And I guess it was a good thing that I came at it with such low expectations. I actually had a fun time watching it. Yes, it's illogical and far-fetched as hell, and the fast editing in the fight scenes is irritating. Almost as bad as Quantum of Solace, but not quite. I saw the unrated cut. I don't know if that was significantly better than the theatrical cut. Probably not. Will I watch Taken 3 when that is released? I probably will – eventually. Is Taken 3 being made...? The promise was already stretched very thin with part 2. According to IMDb the status is "Filming". So it is being made, the question is: Will it make it to the cinemas or will it be a "Direct to Video"?